Make bath time fun time with a dough that creates big suds without chemicals. Love bubble baths but hate chemicals? 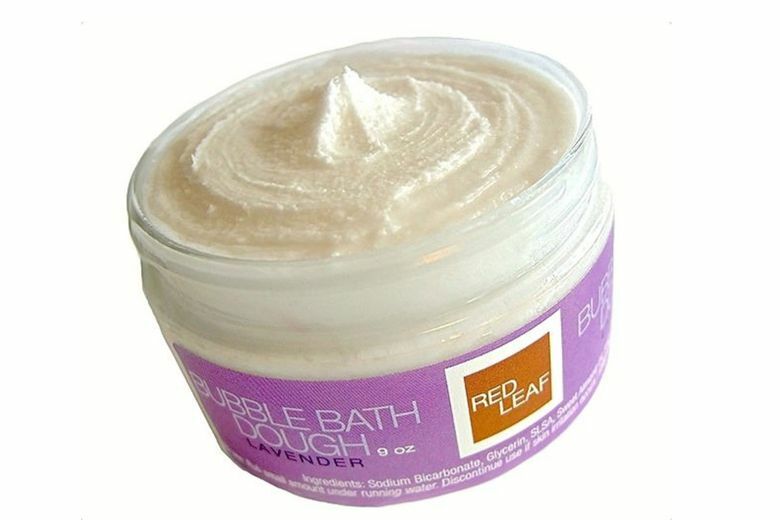 Relax with Red Leaf Bath and Body Bubble Bath Dough, an all-natural, vegan bubble bath handmade to order in Seattle. Formulated for sensitive skin, it uses simple ingredients such as baking soda, vegetable glycerin and sweet almond oil, with no phthalates, sodium lauryl sulfate or petroleum byproducts of any kind. The unique play-dough-like texture generates lots of long-lasting bubbles, and a little goes a long way. Enjoy sophisticated scents like Wasabi, which blends eucalyptus, ginger and peppermint for a scent similar to the real thing; soothing Oatmeal Milk and Honey; and Fresh Clover, which smells like fresh-cut grass (just in time for spring!). Unscented is available for people with scent-sensitivities.